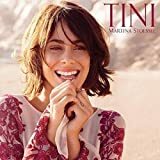 Siempre brillaras / Born to shine – Paroles de la chanson dans “Tini : la nouvelle vie de Violetta”. Paroles : Chris DeStefano James T. Slater et Jessi Alexander. Every dream has a heartbeat. Listen to it, listen to it. And it won’t let you sleep. You wake and it’s in your breath. You know it’s meant to be. And it’s gonna set you free. There’s a light in your eyes and it’s magic. Everybody’s gonna see that you have it. There’s a voice saying gonna make it happen. Can’t stop it, can’t stop it. Go girl, no never give up. I know, know everyting that you touch. Becomes alive right before your eyes. Born to sing, born to try, born to dance, born to rise, born to be who you are, born to love. Like the sun you will always be. When something looks out of reach. You gotta a spirit inside of you. Keeps you strong, when you’re like the sun. Born to be more than alive. Find that you born to shine. Hay un sueño que late. Se hace oír, se hace oír. Que te libere al fin. Una llama en tus ojos renace. Una voz dice: “Cree en lo que haces”. Lo que sueñes se cumplirá. Aunque te cueste a veces seguir. Hay un fuego dentro de ti.